Designer Luke Scheybeler and photographer Camille McMillan have released The Collarbone, a new digital photographic journal for the iPad bringing to life the drama, beauty, rituals and eccentricity of professional bicycle racing. 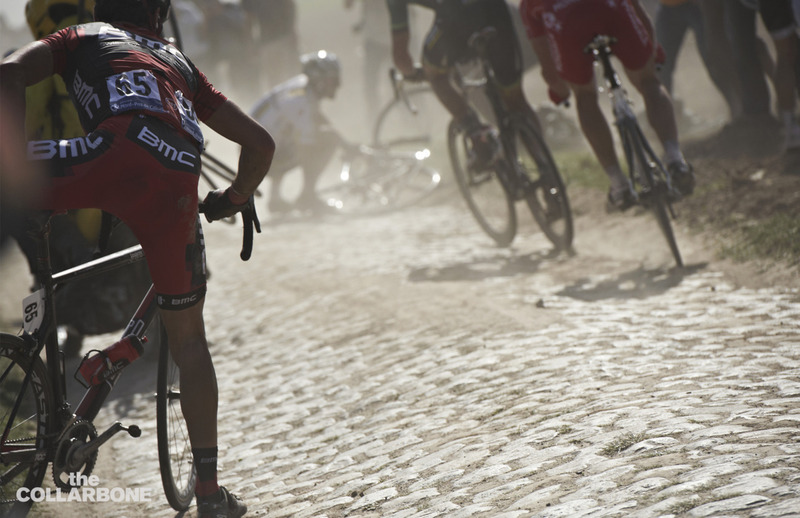 The Collarbone app has launched with an initial eleven collections of pro cycling photo-reportage, each telling the story of a specific race or cycling discipline from the unique and penetrating perspectives of renowned photographers on the pro cycling circuit. Turning the cameras away from the finish line, podium and press calls, The Collarbone’s photography takes a deliberate ‘under the skin’ approach to depicting a uniquely photogenic sport by featuring candid shots of riders, characterful fans, staff and the sideshows that accompany the pro-peloton. 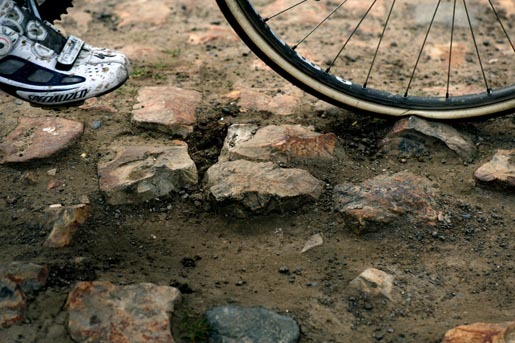 Images include Flandrian drinking dens, a post-Tour party at Hotel de Crillon in Paris, the inside of the Team Sky bus and a sweltering midnight Madrid time trial. 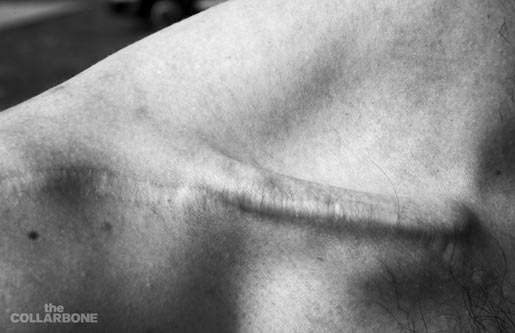 McMillan’s photography features prominently on The Collarbone, alongside that of other professional cycling photographers such as Kristof Ramon. An intuitive and uncluttered interface puts the emphasis on the full-screen images, with users able to scroll through their selected collection. A single tap on each individual photograph brings up an opaque screen split containing a caption written by the photographer. The captions, occasionally about the technical aspects of the shot, but more often about the subjects and unseen context, offer an insider’s perspective on the chaos, drama and virtuosity of the sport. 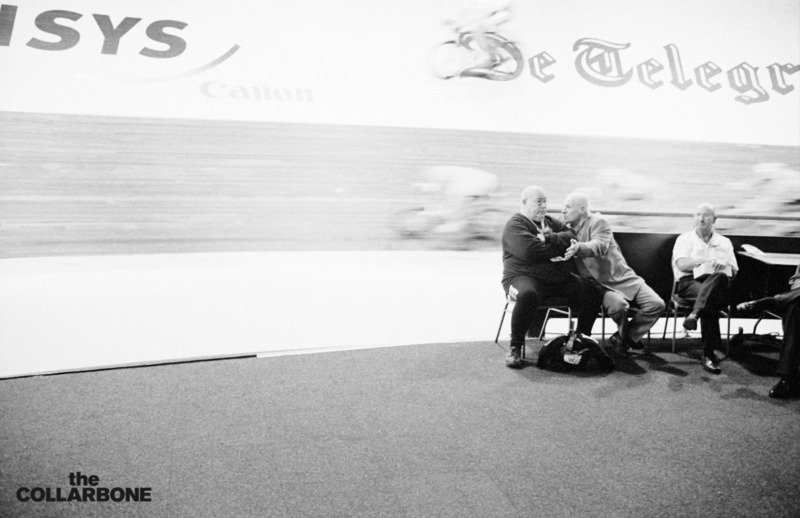 The journal will grow as new collections – of 15-30 images per set – are added throughout the race season. Upcoming collections to be released on The Collarbone will be themed to coincide with the Spring Classics, Giro d’Italia and Tour de France. Collections are priced at between 69p and £2.99, with occasional free collections made available. The Collarbone app itself is free to download, and provides a preview mode of all available collections. The Collarbone app on iTunes is supplemented with a dedicated site, thecollarbone.com, Tumblr blog and Twitter page. The Collarbone app was developed at Scheybeler by designer Luke Scheybeler and photographer Camille McMillan.